Baseball Drills and Tips for Coaching Youth Baseball! 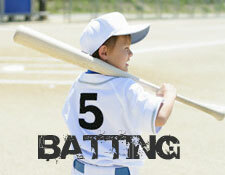 Do you want your team to be at the top of your youth baseball league? 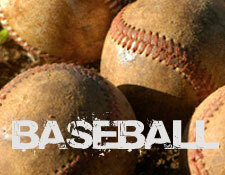 Our free baseball drills and tips will help propel your team to the top. Our baseball drills are free baseball and we do not expect or require you to buy a single thing. Our time tested baseball drills are designed to give your team the edge over other teams that are still doing the same old drills week-in and week-out. These free baseball drills will keep your kids interest because they are fun baseball drills and gives players a fresh look at learning baseball. Our free baseball drill database is organized by practice topic which and consists of pitching drills, baseball throwing drills, batting drills, hitting drills, bunting drills, baserunning drills, fielding drills, outfielding drills, situational drills as well as baseball strength building drills. If you want to develope a great baseball pitcher, you have to start with the mechanics of pitching and throwing a baseball. There are very important key finger positioning, body movements, preparation, and follow throughs that you must teach the pitcher before they develope bad habbits. For those infield players such as 1st baseman, 2nd baseman, 3rd baseman and shortstop you must check out our infield drills. These drills are designed to improve your fielding and will focus on your infield players. This is the basis for great defensive play. Don't forget about your outfielders. The Left, Center and Right Fielders have specific techniques and training too. Make sure you include outfielding practices to your routines in order to improve your defensive baseball. Improve your offense by focusing on batting and hitting. Sometimes the best defense is a good offense. A team that can stay at bat longer typically wins the game. Add a good batting drill to not only improve your offense, but this is the stuff the kids love. BaseballXpert is an excellent baseball coaching resource for baseball coaches who are looking to expand their baseball drills database and baseball drills knowledge. 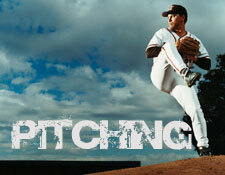 Our baseball drills, baseball practice ideas, and baseball tips will help coaching youth baseball. These baseball drills are free baseball drills! Browse our free baseball drills and baseball tips.